Learn how to implement EhCache, an open-source caching solution, to boost performance in Spring applications by offloading the database. EhCache is an open-source, standards-based cache for boosting performance, simplifying scalability, and offloading your database. EhCache is used to improve performance by reducing the load on underlying resources. It can also be used for RESTful server caching, application persistence, and distributed caching. In simple words, cache means a store of things that will be required in the future and can be retrieved rapidly. At what level data present in the cache can and is reused by the application. The proportion of response time eased by caching. Spring contains the cache manager interface org.springframework.cache.CacheManager, so we need to provide a concrete implementation for cache storage. One of the implementations for caching is EhCache. 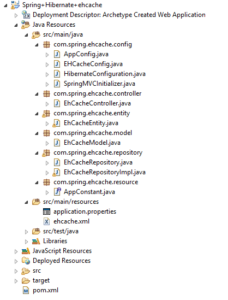 This project involves EhCache in Spring with the Hibernate configuration. It follows the ModelView Controller (MVC) architecture. 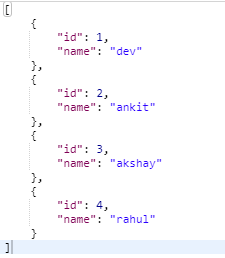 First, have a Maven project in Eclipse using the web app archetype. /*  It shows cache enabling with EhCache-related beans in a separate configuration class. Create a ehcache.xml file to tell EhCache how and where to cache the data. Published at DZone with permission of Dev Bhatia . See the original article here.